SHORT HILLS, NJ - Investors Bank (NASDAQ: ISBC) has appointed Margaret Lanning to the position of Senior Vice President and Chief Credit Officer. Ms. Lanning will immediately assume her duties, reporting directly to Investors Bank's Chief Risk Officer. Ms. Lanning will have primary responsibility for monitoring risk trends of Investors Bank's loan portfolio, and for developing policies and procedures for the safe and sound credit underwriting, operations and administration of Investors Bank. She will also provide support and direction for day-to-day operation of Investors Bank's Credit Risk Management, comprising internal loan review, portfolio monitoring and analytics, appraisal and workout functions. Upon announcing Ms. Lanning's appointment, Kevin Cummings, President and CEO commented, "Margaret is a proven leader and manager with exceptional expertise in credit risk management. One of the key factors that differentiates Ms. Lanning is her leadership and staff development competencies, and these attributes are always needed at a rapidly growing and evolving Bank like ours. In addition, she is active and passionate about developing future business leaders and has created corporate and university-based mentoring programs for young executives." Upon welcoming Ms. Lanning, Investors Bank Senior Executive Vice President and Chief Operating Officer Domenick Cama said, "Margaret brings a wealth of credit expertise from previous roles at other banks and we look forward to her help in our credit process and risk management function. We know Margaret's credit expertise, portfolio management capabilities, and forward-thinking leadership will contribute significantly to our strong credit culture." 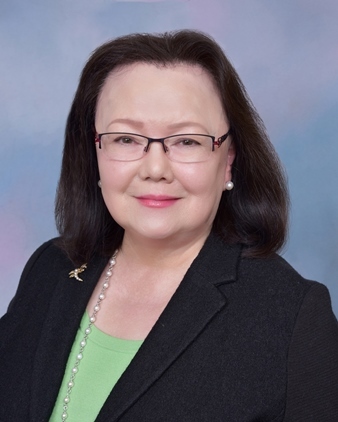 Before joining Investors Bank, Ms. Lanning was the Chief Credit Officer of OceanFirst Bank. In this position, she enhanced credit processes and procedures to support a growing institution. She also provided leadership for loan portfolio management and credit culture. Earlier, Ms. Lanning was Senior Vice President of Credit Administration for Regional Business Banking at Wells Fargo Bank. In this role, she provided credit leadership for lending activities in the five-state northeast region covered by Wells Fargo. Her 21-year career at Wells Fargo and legacy banks was marked by promotions to executive positions with increasing responsibility and authority. While at Wells Fargo, Ms. Lanning founded the WINGS Mentoring Program, which she co-developed with the Center for Women and Work at Rutgers University, and which is designed to link undergraduate women to successful professional female mentors. Ms. Lanning received NJBIZ's "Best 50 Women in Business Award" and the Executive Women of New Jersey's "Salute to Policy Makers," which honors the contributions of outstanding New Jersey women leaders from both the private and the public sectors. Ms. Lanning is currently a member of the Advisory Board for the Institute for Women's Leadership at Rutgers University. She is a past member of the Board of Associates for Randolph-Macon College. In addition, Ms. Lanning served as the founding chairwoman of the New Jersey Women in Banking Conference, which is managed by NJBankers, an industry association. More recently, she co-founded the New York Women in Banking Conference, which is managed by New York Bankers Association. Ms. Lanning earned an MBA in Management and Finance from Fairleigh Dickinson University, and she received a BA in Political Science from Randolph-Macon College.